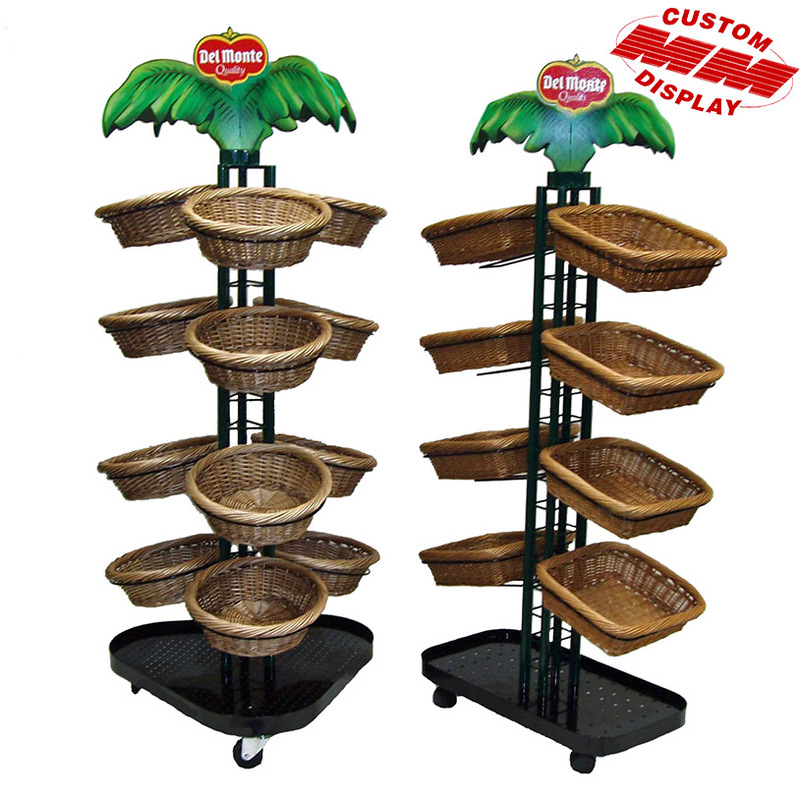 This Custom Display Rack is great for selling produce. The rustic tone of the baskets will accentuate the color of the produce held within them. The sturdy and tall 5 layered steel cable structure will create a natural looking design that can be appreciated from any distance in a store.